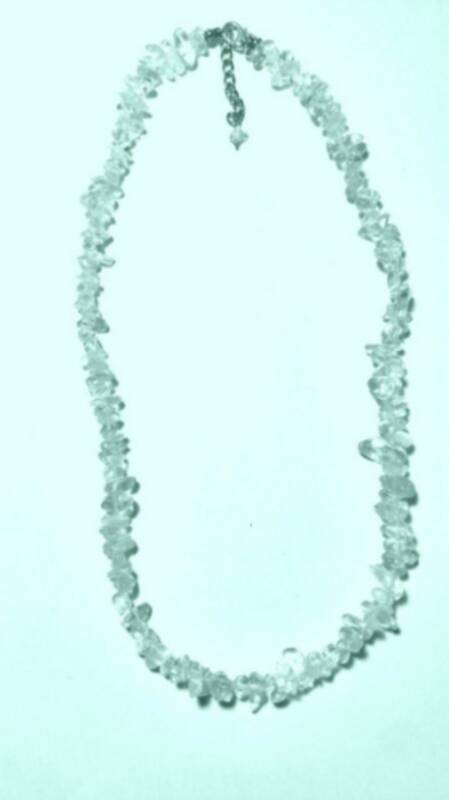 Necklace 44 cm around the neck makes with chips of between 5 to 7 mm approx tinted crystal blue. Rock crystal is used for the back pain and herniated disc and circulation problems. It protects us from bad vibes and telluric disturbances in the House, in a piece of work, it provides calmness. Zodiac: Gemini, Leo and Capricorn.